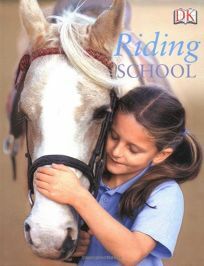 For aspiring equestrians, Riding School: Learn How to Ride at a Real Riding School, by Catherine Saunders, photos by David Handley, presents the riding lessons of three girls and a boy. Beginning with a discussion of proper clothing, from boots to hat, and moving through basic positions and on to jumping, the text and photo captions provide plenty of information. The Equestrian Centre depicted here is in England, though one spread does discuss western riding.